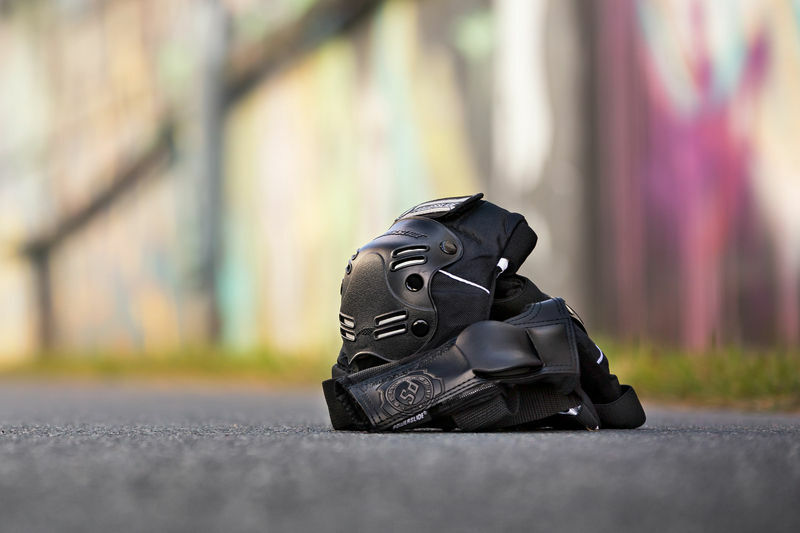 Complete protective set with knee pads, elbow pads and ventilated wrist guards. KNEE|ELBOW: Anatomical shape: 600D Nylon upper; flat cap for controlled falling; EVA dual density foam; Cotton liner; Scott 3M reflective material for safety; double strap system. Bought this for my grandsons birthday. He was delighted with it.would have liked it a wee bit more flexible. Good sizing. Good product, good price. Good solid protection. Fit me well. Very happy.